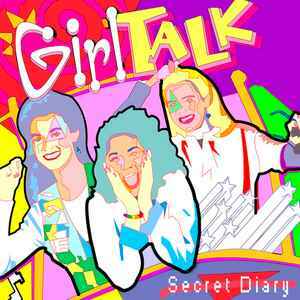 SECRET DIARY is Girl Talk in embryonic form -- the mash-ups here are more akin to Kid606 than the smooth segues that Girl Talk would be known for, so things sound a little rough. 2 Unlimited's "Get Ready for This" crashes into on "Let's Start This Party Right," while "I Want You Back" seems to be a grab bag of chopped vocals without much direction... at least until the MJ appears. The album is unabashedly glitchy and washes out some samples in layers of noise, such that there's barely anything recognizable on "Ffun Have To" or "Time to Get Glamourous." He does show his sense of humor in juxtaposition on "What If...", however, smooshing Joan Osborne with some ghetto rap. It's 50% more sacrilegious! The New Kids on the Block get similar treatment on "The Right Stuff." Elsewhere, the Price is Right theme gets mangled on "Unicorn vs. Gravity" and Destiny's Child is whupped on "Jumpin(g)." You can see the seeds here, but they've not yet sprouted.